Remember Michelle? Griff? Sterling? These are just a few of the Mark’s Daily Apple readers that sent in their inspiring success stories during last year’s Primal Blueprint 30 Day Health Challenge. I think I can say that we were all captivated by their stories. Testament to this fact are the numerous emails I receive from fellow-PBers asking how they are doing. Griff, for example, was just two weeks into going Primal when he originally wrote in. Michelle was nearly a year into her weight loss journey. How has the last 6+ months been for them and others? Read on to read (and see) their progress and check back next week for more success story updates. As you probably know, since I went Primal back in August I have been an active member of MDA’s forums. I’ve established a reputation as the go-to guy for cholesterol questions (and I’m learning more about that every day), and I’m loving the heck out of the people here at MDA. 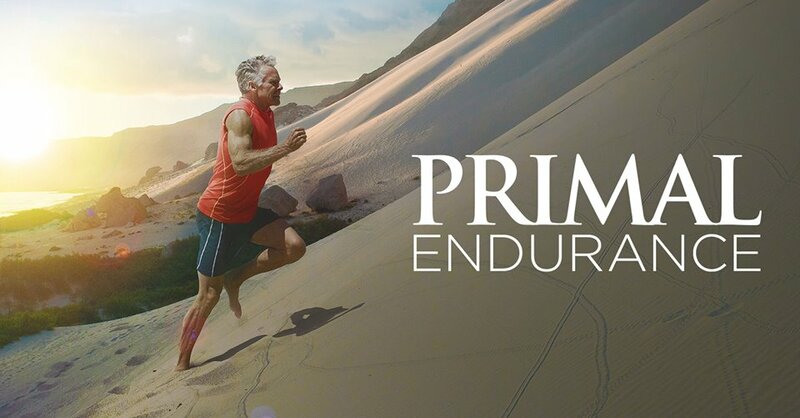 I’ve made a number of positive changes by going Primal. The first (and most obvious) is that I’ve dropped about 80 pounds since August 13, 2009. The second is that by stopping grains, sugars, and starch-loaded foods, I’ve eliminated my arthritis, my IBS, and my migraines, and I’ve brought my blood sugars down to normal (they’ve been there since mid-November, usually in the mid-80s to mid-90s). My doctor is absolutely flabbergasted by my progress. I’m still losing about 8 to 10 pounds a month, too. And I’m no longer in a wheelchair! I can walk quickly and sometimes even run for short bursts. It’s amazing. Other changes have been my attitude towards food and my attitude towards exercise. I used to love food and hate exercise. 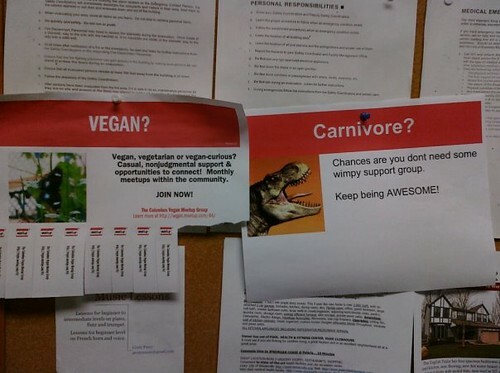 Now I love Primal food, detest CW food, and can tolerate exercise (I’m working up to enjoying it). I still need knee surgery on both knees, due to some damage I did to the kneecaps with a few too many trip-and-fall injuries, but I’m waiting until I’m down to a reasonable weight before I pursue that. Once I’ve done that I’m sure I can start working towards being an athlete as well. I’m not having the stunning rises in HDL or drops in LDL that most people may have had (yet), but my LDL pattern changed from the “bad” pattern B to the “good” pattern A. My ratios all dropped a little bit, which is good, and my glucose and HbA1c scores tell a whole new story about my insulin levels, as does my Trig/HDL ratio (below 2 is “excellent,” and lower numbers indicate lower free insulin levels). As far as the non-medical things that I’m preening about: I can move the seat forward in my car and not bump into the steering wheel. I can tilt the steering wheel down. I can sit in a restaurant booth and not feel crammed or cramped in. I have an enormous amount of slack in my seatbelt. I can fit in a student desk at school (and I could never do that before, ever). I can walk both up and down a flight of stairs, alternating feet as I do it. I can walk all the way across campus and not get out of breath. I can sit in a chair and not worry that it’s going to break under me. I can dance! I can hug my tween-aged children and they can clasp their hands together behind my back. I’m stronger, I’m fitter, I’m more energetic, I’m sleeping better – the list goes on and on and on. Oh, and I went from a size 68 jean (which was getting really, really tight) to a size 52, and it’s loose and has been for a while. 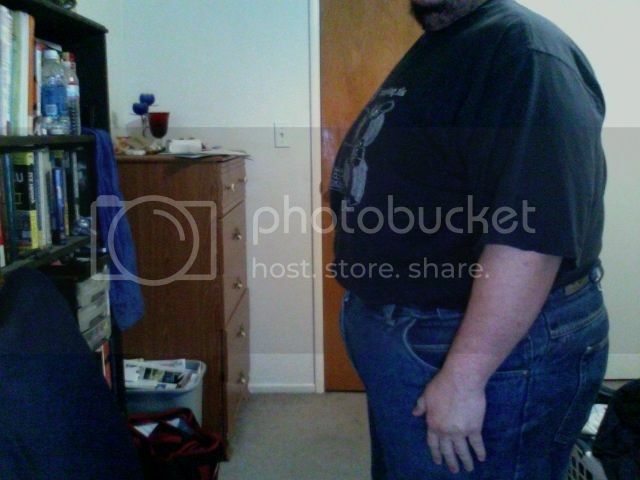 Here’s a couple of pictures for you, too – me at close to my heaviest and me now. If it weren’t for this site, I’d be sucking down my hypoglycemic pills, hating life, and wondering how I’d ever get my sugars out of the 300s again. Mark, I can’t thank you enough for giving me my life back. Check back with me in another six months, and grok on! Read Griff’s original Success Story here. Where am I now…? Well since submitting my story last year I’m still Grokking on! I’ve lost another 7 kgs and 6% body fat. Read Michelle’s original Success Story here. 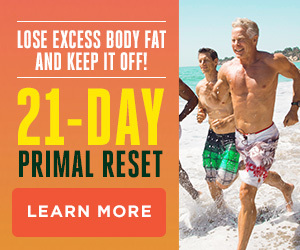 Hello, I am still doing the primal blueprint! I made the move back to the US from Sweden this summer and I now live in New York City. It was here that I finally connected with other paleo dieters in real life through a meetup group called Eating Paleo in NYC founded by John Durant. This had always been an internet thing for me and it was great to be able to finally meet, eat, and hang out with similarly minded people. In January our group was featured in both the New York Times and The Colbert Report when John was a guest. We have been growing rapidly ever since! We have done cowpooling, cooking workshops, and farm tours. We had one huge awesome party and potluck that attracted over 30 people who brought delicious foods ranging from wild boar to steak tartare. I started my own website called Hunt. Gather. Love. where I now blog. I also got my father into The Primal Blueprint and he has lost 50 lbs so far! 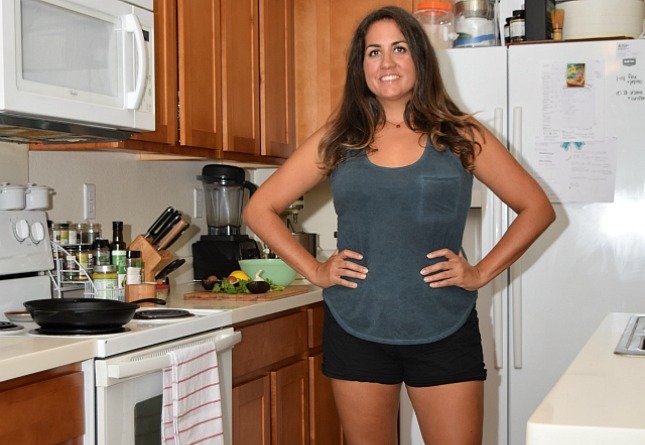 NYC Paleo has big plans, including a hunting workshop and our own awesome website. Read Melissa’s original Success Story here. My success with a primal-like/Grok-like lifestyle is continuing. I vacillate between 9%-11% body fat depending on the discipline of my diet. 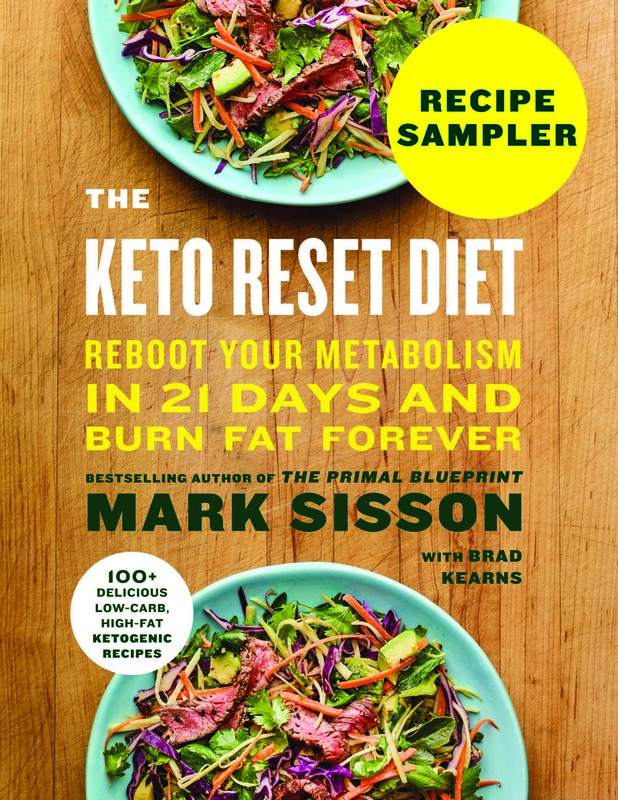 Taking the recommendation of MDA readers and fellow Primal Blueprinters after my “More Like Grok” success story, I started a health, fitness, and fat loss blog in late 2009 – sterlingadvice.blogspot.com. I’ve enjoyed helping others who want to change their life and wave goodbye to an unhealthy lifestyle. Mark continues to be an inspiration as he is one of the most disciplined guys I know and I enjoy the friendship we’ve established. To those readers that are just starting to eat and move primally: read all you can, enjoy the ride, seek help when you need it, and don’t let your goals of grok-like lifestyle and body cause you unneeded frustration and grief. Just follow a plan, stick to it, and you’ll get there. 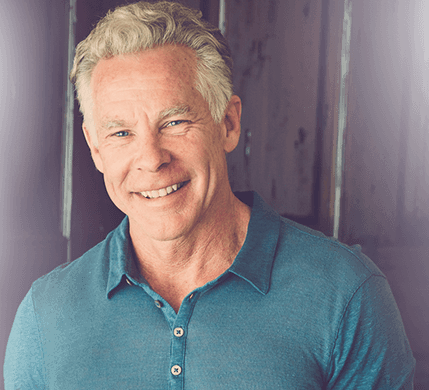 Read Sterling’s original Success Story here. wow — it’s great to see people reclaim their health and self-esteem. Very inspiring! The rock solid rationale behind eating like our ancestors that inspired so many early adopters to give it a shot is paying dividends with so many success stories, and that will have an even greater impact on other people who need to see to believe before they get on board. Griff, Michelle, Melissa and Sterling: great work and keep going! The one negative comment you hear on the Paleo/Primal plan is that “it’s a fad.” Doing this follow-up is a great way to demonstrate, it’s not a fad but truly a lifestyle. This kind of info further motivates the rest of us to apply what we know, teach others and keep the faith. Thanks Mark! I hear those kind of comments too and my husband and I have been eating low carb/high fat (Protein Power lifeplan converts) for years now. And yet people always ask how at our age, 60+ers, we manage to stay so fit and off any medications that so many our age are on. When I tell them the plan, they become so defensive and downright critical that I just shut up and hope someday they get the picture. My husband works TWO jobs and his night job is on submarines with a much younger crew, who are constantly sick, overweight and in chronic pain. It is MY husband who works in all the tight spots on the boat because he CAN. His supervisors say he puts the other workers to shame with his ability and vitality and receives several commendations for work well done and ahead of time. All the other workers sit around wishing there lives away complaining that they can’t wait to retire and we have no intention of ever retiring. BTW we are remodeling our home ourselves, also. Three children and two follow a more primal lifestyle, while the oldest says her husband refuses to (excuses, excuses). Let me tell you it shows dramatically in the children (activity levels, sickness and weight most noticeable). Thank you MDA for your posts and this comment/ blogspot. For the first time in many years I don’t feel alone and love all the input. One question though. I really need to get a heavier weight workout in my routine. Would prefer something at home and have a bad lower back issue which has kept me leery of lifting heavier weights. Use my own body weight routines – is this bad? Notice arms and back muscles not as defined as they used to be. Thanks for any help. Love you fellow PBers. I dismiss that attack by pointing out that the truth of a matter has nothing to do with it’s popularity. The general acceptance of something is a compliment to it’s truth not a determining factor. Unfortunately, far too many people have been brainwashed into believing that what’s popular is what’s right. The logical fallacy there is huge, but most people don’t get that one even exists. This is another definitive difference between the PB and other diets, people don’t just lose “some” weight. They change their lives and live better healthier lives for it. Congrats on all of your progress and I hope you all reach your goals. Anyone can say they need to make lifestlye changes but it takes different type of person to actual make those changes. Most people quit or just find an excuse not to do the right thing. I am glad Mark has kept up with each of you b/c it shows the rest of us PB’ers how much this really means to him. Keep it up ladies and gents. WOW! Keep up the good work. Keep being awesome! I tried converting someone on the America Diabetic Association forum, thinking that some of them might be interested in an alternative to something that does not work ( the ADA diet). I got BLASTED by them! I was called “an extremist” and “scary” among other things. I guess one thing you could add to those adjectives is “no longer has a blood sugar problem”. I’d go back and tell them that, but life is too short to subject myself to their anger. I guess I’d be moody too if I were a diabetic and was told that I’d just have to live with it. awesome pic! made my day. It’s fantastic to see how positive it can be to shake the foundation of CW and all the things that don’t work. Mark…you should be proud of the people you have helped and continue to help…myself included. Grif and Michelle’s pics are awesome! Everyone’s written testimony is so inspiring to read. Way to stay after it and see such positive results. Thank you! I have to admit I was terrified to share those photos. And a big thanks to you (and the rest) for sharing all your efforts and research with us! It really is one of the best rewards, yes. I absolutely love success stories such s these ones. People like these inspire others to make a change. 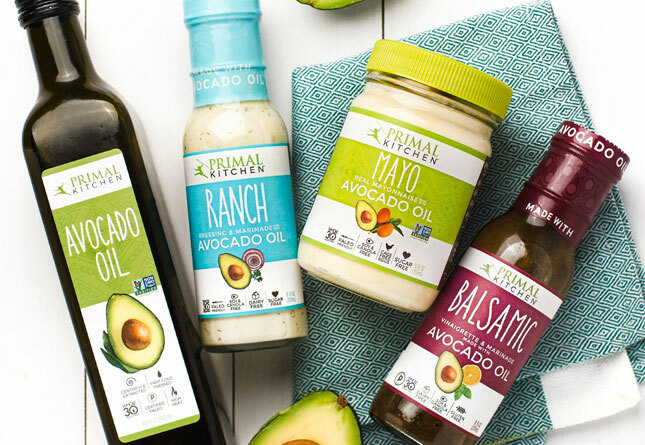 I feel like the entire world is going to be eating Primal in my lifetime…. how awesome would that be!! Great to read about your stories, especially this week too. My brother has gone from strength to strength following PB since last December, we text (SMS) or email just about every day now, it’s just been a wonderful journey and we love the MDA community for reinforcing the fact we aren’t alone, or mad, even if those around us like to think so! Thanks for the comments guys. I try to update my blog twice/week, but I’ve been on an unplanned hiatus due to a very, very busy family life and work life as of late. Feel free to shoot me an email. Thanks to everyone. What he said – although I don’t keep a blog apart from posting on MDA’s forums, and my unplanned hiatus has more to do with graduate school than family life. Thanks so much, everyone! I approached the primal lifestyle with an open mind and immediately fell in love with it. I dropped those “pesky ten extra pounds” I was carrying around in a few short weeks and I feel stronger and more satisfied than ever. And you should see my hubby now that he’s eating and working out this way… GEROWL!!!! These are such AWESOME stories. (And I remember Griff from a journal site! Way to go, dude!) I hope to be feeling better like that in another year or so. Your stories are legends to me! I remember when I first discovered this web site three months ago. I was so inspired by your stories and those of others that I jumped into the Primal Blueprint with gusto and never looked back. The results have been better than I ever dreamed possible, and I have to thank you for motivating me to take the plunge and stick with it. I know how intimidating it is to share pictures, but Griff and Michelle, mere words cannot do justice to your transformations! There must be many other people reading this who are in the same place I was three months ago. If that’s you — these same successes are yours for the taking. 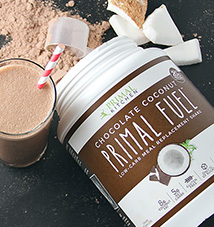 Going primal is easy, fun and the most natural thing in the world. Enjoy discovering your amazing true potential! These are all awesome heart touching stories, especially Griff. Boy, that is INCREDIBLE- like I am breathless. I hope to one day share my recovery story with MDA from anorexia, regain my period & fertility and hopefully even start some grok-er-cises eventually!!! 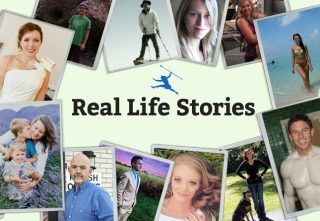 The health and mindset of this forum is absolutely amazing, and I cannot ask for a better place to share my story and triumphs. While this is usually all about weightloss, I hope people truly see and develop the “healthy attitude” that MDA offers and primal meeting. The last thing I am here for is weight loss, and I am learning the in’s and out’s of those who are and they are very strong willed determined people. Great post Mark! It was your before/after fasting and A1c panels that made me blink – then your swap from awful LDL to the OK stuff – then your trig/HDL ratio, changing from heart-attack city to low risk. Man, I am impressed. Thanks for the compliments – but if I hadn’t had MDA’s information and knowledge (along with some associated sites and books) I wouldn’t have accomplished this. I’m hoping to see my HDL go up soon. My doctor was shocked by my rapid change and couldn’t believe how I’d done it. Congratulations, each of you! You’ve done absolutely wonderful. 🙂 It’s so heartening to see everybody becoming more happy and healthy. You should be so proud of yourselves! Congratulations! Griff, Michelle, Melissa & Sterling keep up the good health. This is truly a great place with like minded people. Congrats to all of you! Griff, its so obvious that you are losing weight the healthy way – your weight is distributed evenly, not like you see from crash diets or surgical procedures. Michelle, you look fantastic. Don’t know what you’re final goal is, but go easy on us guys when you get there! All of you are inspiring. The amazing thing about going primal isn’t just losing weight – its how you’re body starts looking like its supposed to look, whatever your shape is, and, mainly, how good you feel. This is amazing, I am so syked to be a PBer, though it may be a little difficult in certain situations to find something primal to eat, and though I may annoy my friends and family through refusing to eat non-primal, this is definitely the best thing I’ve ever done for myself, and hopefully once the people around me see my transformation, they’ll be inspired to go Primal too. The more people that go PB, the quicker we can change the world! Woop! These stories are a welcome antidote to that “Biggest Loser” crap! Griff, differences in the mirror wont be visible to you since they are to small to notice. What you could do is to snap a shot everyday from the same angle and do a small movie out of those. That way you will see the progress. Keep up the good work man, you are amazing! All three of the featured but not forgetting everybody else here who is using willpower and brains to get fit & healthy: Hats down, I applaud you, you guys are an inspiration for me and everybody else! Such inspirational stories! Griff, keep at it, when the weight comes a bit lower and makes your knees a little happier(well,possibly post surgery), you’ll find that joy in moving! It’s so helpful to read stories of others who are succeeding with their goals. I’ve been doing this for only a couple of months now, but I firmly believe that I’ll never go back to the Standard American Diet. I feel great and I’ve lost 25 lbs. Yesterday, I ordered a pair of Vibrams and today I joined a Meetup group that hikes the local parks on evenings and weekends. I’m so inspired by everyone’s Primal/Paleo testimonials; this is the happiest bunch of dieters I’ve ever seen! I had no idea you had such health problems. I did not do proper research. I am very sorry for the names. I did not know you suffered with medical obesity and other major health problems, and also the wheelchair. I would not make fun of a handicapable person. I am very sorry. I hope you continue t get better. May I suggest that in the future, you assume that everyone out there is in the same situation I’m in? It will lead to compassion for those who are less able, fortunate, or aware. You never know who is fighting cancer or AIDS (or diabetes, or arthritis) just by looking at them. There are plenty of people who look like “regular healthy people” but aren’t, and there are plenty of “regular healthy people” who don’t look like they are, because of other problems. It’s always best to err on the side of caution and kindness. Why err at all?? Sean apologized, seems if all the facts were presented, the comments would have been tailored better but they seem heart felt- forgo the quilt trip. You aren’t really aware of the things Sean is apologizing for, are you? michelle, that swimsuit is awesome. you look perfect. i want that suit!! Thanks for the great comments to all of us. Griff your doing amazing and such impressive results!! Well done Griff, your story is a smack on the face to institutionalized CW. I can only imagine how empowering it must feel to control your body. Now that you are under control, the sky is the limit. Michelle you look *very* hot. All of you have done a wonderful job! Congrats! I think I just fell in love, Michelle!!! My wife won’t be very pleased (heehee…kidding…she’s hot, too)! You are a stunner! You know that scene in Dumb and Dumber when Jim Carrey grabs his heart after seeing Mary Swanson for the first time?